Are you still stuck with Microsoft word, Excel or your Accounting software to create your sales quotations, invoices & estimates? It is the time to get organised. Close more sales and save more time. 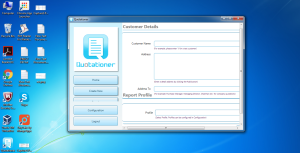 Now Quotationer enables to close the sale spending less time on the quoting & invoicing process. 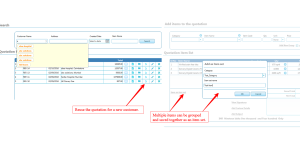 Once the quote is accepted by the customer the software immediately converts the quote to a purchase order and processes it further. 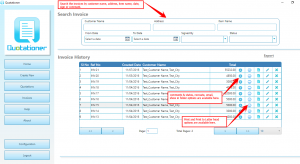 Estimates & quotations can easily be converted directly to an invoice without needing to re-enter information like the date, client and amount. First impressions are important; they can make or break deals. The quicker you can get that quote into your customer's hands the better chance you have of winning their business. Quotationer will make you more EFFICIENT, more PROFESSIONAL more ACCURATE and more COMPETITIVE. Make your sales quoting simple with Quotationer. 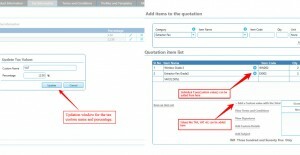 Quotationer provides a user-friendly environment which is easy to use and understand. 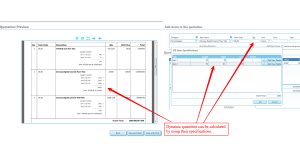 Items can be added to the estimation list and once the estimate has been created it is available for preview with the default template. 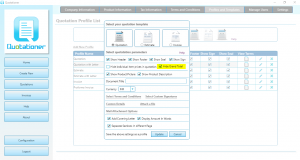 Once accuracy is assured through preview the estimation software enables you to mail the same to the customer in no time. We assure you ZERO COMPLEXITY with Quotationer. First impressions are always important. They can make or break deals. So a quotation should have neat classification of items to make it more impressive. The Quotationer enlists items as in the main group or subgroup which acts as a subsidiary to the main group. 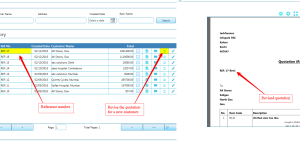 The main group items are listed with serial numbers while the subgroup does not. 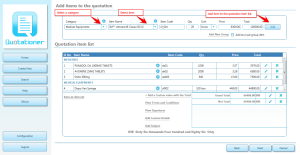 The item set feature allows the grouping of multiple items in a group. The main advantage of this type of grouping is that user search will populate all the items in the group easily. So make your quotations MAGNIFICANT with QUOTATIONER. Adding product images can make your quotations, invoices & estimates more visually appealing, which helps the customers to quickly identify the product. 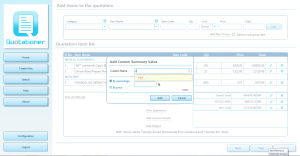 You can add pictures to the quotations, invoices & estimates either by capturing nor by browsing. For the ease of use, you can capture images with any size from any window. 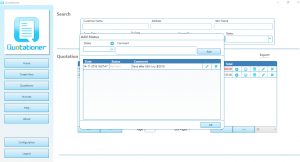 Quotationer will automatically resize the image to the default size. 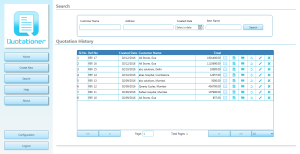 Quotationer has the additional feature of easily tracking and revising of old quotations in the quotation item list via quotation history.The newly revised quotation will appear with a revised reference number. 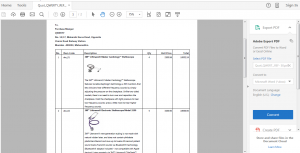 The quotation profiles can be reused and it is possible to create new sales quotation from existing profiles created earlier reducing costs and saving time. 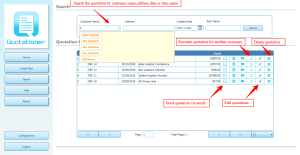 Multiple items can be grouped and saved together as an item set. These items can be retrieved and reused. The reusable feature of Quotationer makes it more efficient. Want to change product/item prices? No need to edit product prices for every individual item. 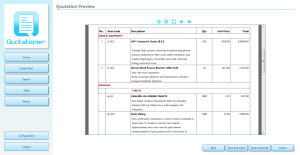 With Quotationer, you can update the product prices with a CSV file containing updated product prices. The HSN (Harmonised System Nomenclature) is an internationally standardized system of names and numbers to classify traded products. These codes are basically used to fix the rate of tax on various products at the time of export and import. It is proposed to use HSN codes at invoice level to make taxation system of international standard. Under GST supply invoices will be made by capturing HSN codes in case of goods and service accounting codes in case of services. Quotationer allows you to create quotations with HSN code. Instead of giving multiple quotations for different variants of a single item, it is possible for you to mention them in a single quotation and avoid the grand total. 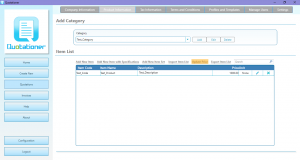 The Quotationer provides an easy management of user accounts. 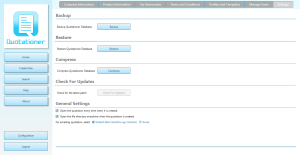 The software can be configured for administrators or users. 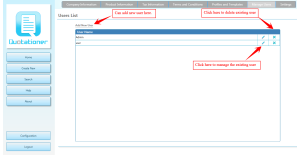 The user can create and edit quotations but only the administrator have the permission to delete quotations. It can be guaranteed that a profile created by a user will not be edited or deleted by another user. The search feature of the Quotationer enables old quotations to be searched by parameters like Item Name, Address, and Date etc. The software enables tax computations of all types like sales tax and VAT without having to refer anywhere for the needed details. Build your own quotes with our customizable templates. The quote represents not only what you are selling, but also an extension of your company and image. Customized header, footer, address, seal and signature can be added to each predefined set of templates and also comes up with the addition of new custom template based on user taste. 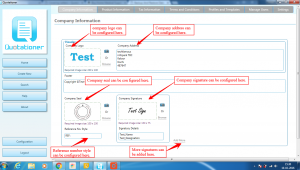 The user can feel free to contact us if needed any custom template. 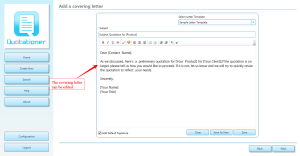 The Quotationer comes up with an extra functionality called covering letter which is attached to the predefined profiles where you can add, edit and save each of them based on the requirements. Quotationer has the advantage of working in an offline mode. It does not require any internet connection for preparing sales quotes. Now you can create your quotations easily with your system, without any concern about the internet connection. Backup feature of the Quotationer enables data to be archived for future reference. The database can be archived to CD-ROM or external hard disk. Quotationer also enables the ability to restore the backed up data back to the software when needed. 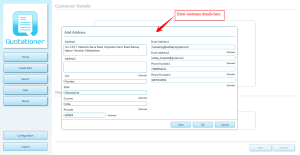 Provision is provided to compress the data to the computer. This provides ample provision to optimally use valuable disk space. 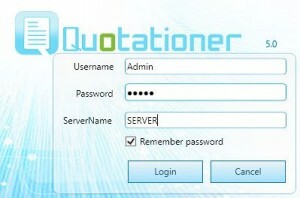 So save your memory, save your data and make sales quotations, estimate & invoices with Quotationer.